Hey-ho it’s Sunday again, and on Sundays I like to talk about The Greatest Band On The Planet™; you know who. I think it’s weird for anyone, anyone at all to like Coldplay and the Strokes at the same time because both have such a huge contrast. 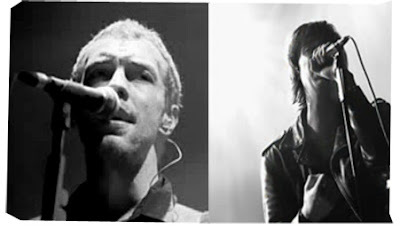 Don’t get me wrong though, I love Coldplay, I’d be lying if I said I didn’t. It’s rare to find a ‘parental advisory, explicit content’ sticker on a Coldplay CD while for the Strokes it’s rare not to. Okay, so it’s weird to like ‘em both at the same time, but it can happen. Chris: What an amazing noise, thank you! Julian: You motherfuckers are loud, God bless you, thank you!